Credit: The Economist. Pictured: 'The Intelligence' podcast host Jason Palmer. 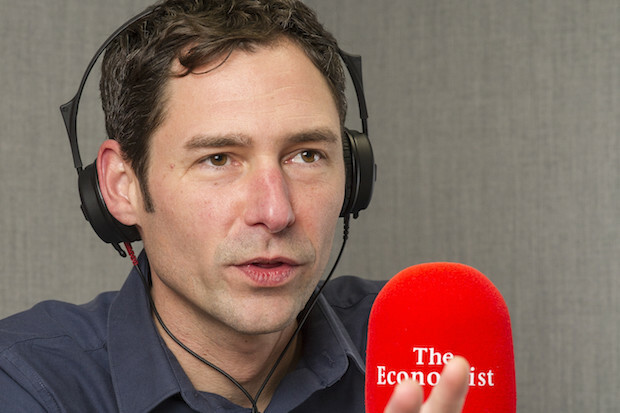 “We think launching a daily podcast is the next logical step in the evolution and expansion of our audio output,” said The Economist’s deputy editor and head of digital strategy, Tom Standage. "There is clearly a growing appetite for podcasts." The publisher started podcasting in 2006 and launched its audio edition in 2007. Standage explained that each 20-minute episode will kick off with a news segment, followed by a feature, and finally include a jolly segment that is spun around an unusual fact or statistic, for example, what sales of mooncakes tell you about the state of Chinese politics and economics. “As well as hearing from our network of editors and correspondents around the world, we will also have guests, from vox pops to business and political leaders,” he added. To monetise this new product, the publisher will start with programmatic advertising. There will also be a pre-roll and mid-roll advert slot. “But we'll also allow advertisers to sponsor the podcast by the week or the month; this is the model we have for our Espresso app, and for our monthly podcast ‘The world ahead',” said Standage. The Intelligence will also be available on smart speakers, and Standage said his team is experimenting in this area. “In the US we are testing an audio version of our daily Espresso briefing, read out by a newsreader rather than relying on text-to-speech. This type of audio content is not released yet on the smart speakers, but it is an area the Economist is actively interested in. You can listen to The Intelligence trailer here.